In November, 2014 the Marine Stewardship Council certified the Prince Edward Island lobster trap fishery as sustainable and well-managed according to their official, global, science-based standard. 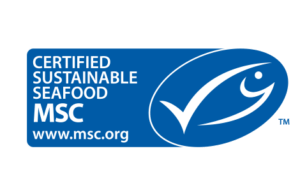 As a result, PEI lobster is authorized to carry the blue MSC ecolabel. The PEI Fishermen’s Association, the PEI Seafood Processors Association, Abegweit First Nation and Lennox Island First Nation worked together to attain this certification, along with Fisheries and Oceans Canada and the provincial government. The 2014 certification is the official recognition of a fishery that can claim many decades of responsible management. Prince Edward Island’s traditional lobster fishery dates back generations and fishers have made it a priority to protect the resource ensuring a sustainable industry for generations to come. The lobster fishery is significant to the economy of Prince Edward Island. Lobster landings from more than 1200 harvesters account for 66% of the value of the overall fishery with a total landed catch of approximately 28 million pounds per year, providing more than 5,000 jobs per year and contributing substantially to the province’s economy. How do Prince Edward Island lobster fishers protect the resource? Carapace Size Limit: Minimum (in some cases maximum) lobster carapace shell size is established for each area based on the condition of the fishery. Limited Number of Licenses: the number of licenses is limited, determined by the management plan. Seasons: Prince Edward Island lobster fishers fish in either of just two seasons. The spring season usually runs May 1- June 30 and the fall from about August 9 – October 9. Trap Limits: Each PEI fishing license is limited to 250-300 traps depending on location. Escape Mechanisms: PEI lobster traps are equipped with escape mechanisms that enable undersized lobsters to exit the trap. As well biodegradable panels enable trapped lobsters to escape in the event the trap is lost at sea. Females: PEI fishers release female lobsters bearing eggs or of optimum breeding size. Fishing Days: in PEI lobster fishers work just six days per week during the season. Research: PEI fishers actively collaborate with researchers to collect data to better inform sustainability measures for the future. It takes 5 to 7 years for a lobster to grow to legal size or about one pound. To reach one pound of weight, it takes 5-7 years. The legal size for catching lobster is based on the physical size of the lobster, but legally sized lobsters are normally close to one pound. Lobsters that have not reached the legal size are returned to the water. This limit is vigorously enforced in Prince Edward Island, and is a key component of ensuring the lobster fishery is sustainable.